"VA continues to downplay or ignore some of its toughest challenges, treating each one like an impending public relations crisis -- one in which to admit mistakes would be to admit defeat. "But this isn’t about PR. It’s about problem solving. Until VA leaders realize this, the department’s most serious problems will persist. In the meantime, America’s more than 20 million veterans continue to wait for solutions." The article below, by award-winning journalist Jamie Reno, is an eye-opening look at how VA remains broken, how VA officials are complicit, and how veterans have been affected. After reading, please consider contacting your two U.S. Senators and your Representative in Congress, then share the link to this International Business Times story and ask them to take specific action to fix VA and hold VA leaders accountable. http://www.ibtimes.com/vas-war-department-veterans-affairs-congress-clash-over-suicide-charges-1557910 -- Please click on this link so that your read gets counted! Simmering tensions between members of the House Veterans Affairs Committee and officials at the Department of Veterans Affairs boiled over this week following an IBTimes report that the veterans department had substantiated three ethical lapses -- one of which involved veteran suicides -- cited last March by an agency whistleblower. U.S. Rep. Jeff Miller, R-Fla., chair of the House Veterans Affairs Committee (HVAC), told IBTimes this week that at a January briefing, a VA official told a member of his HVAC staff that the agency did not follow up on some veterans who admitted to having suicidal ideas during a health study on veterans -- and who later committed suicide. “My staff contends that during a Jan. 3, 2014, verbal briefing, VA officials confirmed that VA personnel did not follow up on some veterans who admitted to suicidal ideation -- and who later committed suicide -- during a study of Gulf War veterans,” Miller said. “If VA contends there was a miscommunication, it was only brought on by VA’s lack of transparency and reluctance to provide the committee with written details of its investigation into Dr. Coughlin’s allegations." VA has confirmed some of the lapses cited by whistleblower and former VA epidemiologist Dr. Steven Coughlin in testimony before the HVAC's Subcommittee on Oversight and Investigations, but insists the agency does not know if any of the veterans from the study later committed suicide. Will US Veterans Get Pension Cuts Repealed? Coughlin claimed that the VA failed to follow up with nearly 2,000 veterans who reported in what was known as the “New Generation” study of veterans by the agency’s Office of Public Health (OPH) that they had suicidal thoughts. Curt Cashour, a senior HVAC staff member, told IBTimes that at that January briefing, Dr. Robert Jesse, VA’s principal deputy undersecretary for health, told Eric Hannel, the oversight and investigations subcommittee’s staff director, that some veterans who were not followed up on later took their own lives. Hannel declined a request for an interview for this story. But Rep. Miller stands by Hannel's contention. Asked about VA’s reported admission at the briefing that some veterans had killed themselves, the agency declined to comment on the record. Instead, its press office provided IBTimes with the results of an unrelated OPH study in which there were no proven suicides. When asked again this week, a VA spokesperson said that the agency rejected the HVAC's contention. "In these briefings, no VA official nor staff present at the meetings stated that veterans had committed suicide when [study participants] were contacted for follow-up," said the spokesperson. 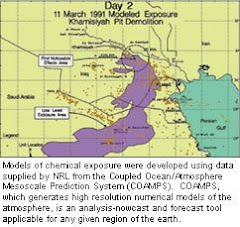 - The National Health Survey of Gulf War Era Veterans and Their Families (“National Health Survey”) (1995-2001) included 15,000 deployed and 15,000 non-deployed veterans and their families in a study of adverse health outcomes associated with the Persian Gulf War (follow-up study in 2004-2005). - The Health Surveillance for a New Generation of U.S. Veterans (“New Generations”) (data collected 2009-2011) included 30,000 deployed and 30,000 non-deployed Operation Enduring Freedom/Operation Iraqi Freedom veterans in a study of chronic medical conditions, post-traumatic stress disorder (PTSD), other psychological conditions, general health status, reproductive health, pregnancy outcomes, behavioral risk factors, etc. On this study, Coughlin was a co-investigator. - The Follow-Up Study of a National Cohort of Gulf War and Gulf Era Veterans (“Gulf War Follow-Up Study”) (data collected 2012-2013) included 15,000 deployed and 15,000 non-deployed veterans in a follow-up of a 1995 National Health Survey to study chronic medical conditions, PTSD, other psychological conditions, general health status, Chronic Fatigue Syndrome (CFS), Chronic Multisymptom Illness (CMI), etc., 20 years post-deployment. On this study, Coughlin was principal investigator (PI). 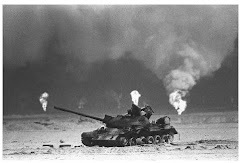 During the Gulf War Follow-Up Study’s initial pilot study of 167 veterans, six veterans said they had suicidal thoughts; that was on Aug. 1, 2012. But the VA does not know if any of those six have committted suicide since that date, according to a spokesperson. Dr. Tom Puglisi, executive director of VA’s Office of Research Oversight, which looked into Coughlin’s charges, acknowledged this week that he and Jesse conducted the review of Coughlin’s allegations and briefed HVAC staff about that review in January. But Puglisi would not say whether any veterans in any of the studies on which Coughlin worked who identified themselves as suicidal and were not followed up on immediately by VA later committed suicide. But several veterans sources told IBTimes that VA had those veterans’ names and contact information and could have quickly and easily connected them with a mental health professional as soon as they learned from the mailed-in surveys that the veterans had suicidal thoughts. The VA says Coughlin’s claim about the nearly 2,000 veterans has not been substantiated and contends there have been no suicides. But the agency’s decision not to comment on the specifics of the New Generation study raises questions: Has VA followed up with all of the nearly 2,000 veterans referenced by Coughlin in the study? And if so, how many are deceased and what were their causes of death? Miller said VA routinely refuses to engage in constructive and honest conversations when challenged, and routinely ignores media inquiries and congressional requests for information, of which there are more than 100, some dating back more than a year. He noted that while VA completed its investigation of Coughlin’s charges report on July 5, 2013, the department didn’t brief HVAC staff until nearly six months later. The suit was filed July 23, and one week later the VA linked up with the civilian Suicide Prevention Lifeline -- 1-800-273-TALK (8255) -- and added a feature for veterans seeking help in which they can press 1 and be directed to a VA hospital. In 2008, VA put suicide prevention counselors in every facility. That, too, was the result of the VCS lawsuit, said Zacchea, who noted that the suit was very effective in forcing VA to make changes despite the fact that the case ultimately was not heard last year by the Supreme Court. Zacchea said the lawsuit was filed because VA had failed to implement a mental health strategic plan, and one of requirements in the lawsuit was that there be a mental health suicide expert in each VA facility. "One reason why VA was turning away suicidal veterans was because no one was able handle veterans who came into hospital in a suicidal state," Zacchea said. While VCS continues to apply pressure, so does Miller. Last July, the lawmaker, whose committee is one of the few effective bipartisan committees in Congress, launched a Trials in Transparency Web page with HVAC ranking member Mike Michaud, the Democratic congressman from Maine. The site highlights the instances in which VA has not provided Congress with requested information. “VA’s widespread and systemic lack of accountability is exacerbating all of its most pressing problems, including the department’s stubborn disability benefits backlog and a mounting toll of preventable veteran deaths at VA medical centers across the country,” Miller said. He suggested that what VA leadership fails to understand is that to overcome VA’s challenges, it must acknowledge them to Congress and the public -- two groups that Miller said are actively pulling for VA to succeed.